High Definition (HD) video from Suglarland fan showing August 13, 2011, Sugarland Concert stage collapse at Indiana State Fair in Indianapolis, IN, USA. According the Marion County Coroner’s office, the following victims lost their lives when high winds hit the Indiana State Fairgrounds ahead of an approaching severe thunderstorm: Alina Bigjohny, 23, of Fort Wayne; Christina Santiago, 29, of Chicago; Tammy Vandam, 42, of Indianapolis, 49-year-old Glenn Goodrich, 49, of Indianapolis; and Nathan Byrd, 51, of Indianapolis. Four people were reported killed Saturday, and one person died overnight as a result of the Indiana State Fairground stage collapse. Nathan Byrd was transported alive from the scene, but died overnight. At least 43 people were injured when a metal and canvas stage collapsed during a severe thunderstorm with 60-70 mph winds. The injuries ranged from life-threatening to minor scrapes and bruises. 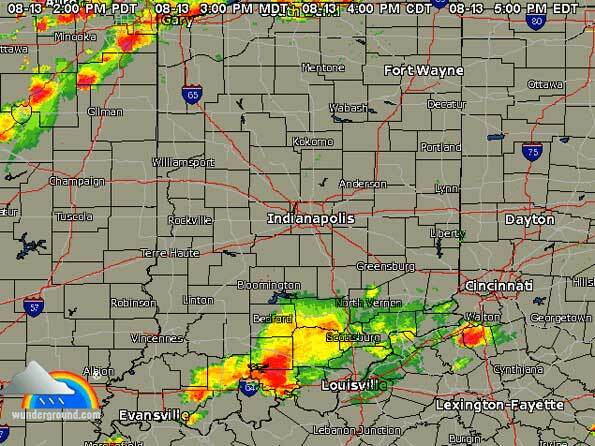 The storm approached as a Sugarland concert was scheduled to begin after an intermission at the Indianapolis State Fair at about 8:55 p.m. at the Hoosier Lottery Grandstand. The disaster apparently occurred during the intermission as stadium authorities were just preparing for evacuation. Authorities say they have confirmed at least four deaths after a stage collapsed during a storm at the Indiana State Fair in Indianapolis. At least 43 people have been reported injured. Video from an upper grandstand away from the affected area, showing the stage collapse. Indianapolis Fire Department on-scene command: Collapse of a grandstand area with multiple people trapped with multiple injuries. (Initial dispatch is communicated by a computerized voice device). Firefighter/paramedics reported finding person with a fractured femur. Triage efforts later reported three children in serious condition. Two victims with severe fractures were also reported early in the rescue operation. A victim in cardiac arrest was reported to have been revived during a working ‘cardiac arrest’ situation. Paramedics requested immediate transport arrangements from the transportation sector of the rescue operation. Triage was set up under the grandstand. Mass casualty and Technical Rescue operations were activated by rescuers. During the rescue operation, firefighters received a weather update that another round of storms was expected across the disaster scene with heavy rain and 30 mph winds. The deadly storms arrived slowly from northwest to southeast, and grew in size and intensity as they traveled across the northwest suburbs of Chicago about 2:00 p.m. EDT to 2:35 p.m. EDT; to Chicago Harbor about 2:55 p.m. EDT; to Gary, Indiana at about 4:00 p.m. EDT to 5:00 p.m. EDT, and Indianapolis at 8:55 p.m. EDT. 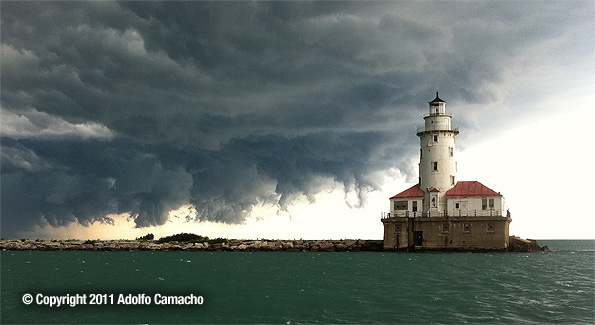 The storm passed through Chicagoland from about 1:00 p.m. CDT to 2:00 p.m. CDT and created this ominous cloud formation over the Chicago Harbor Lighthouse at 1:55 p.m. CDT August 13, 2011 before arriving in Indianapolis later Saturday night (PHOTO CREDIT: Adolfo Camacho). Weather radar showing severe thunderstorms leaving Chicago and crossing Gary, Indiana at about 5:00 p.m. EDT. 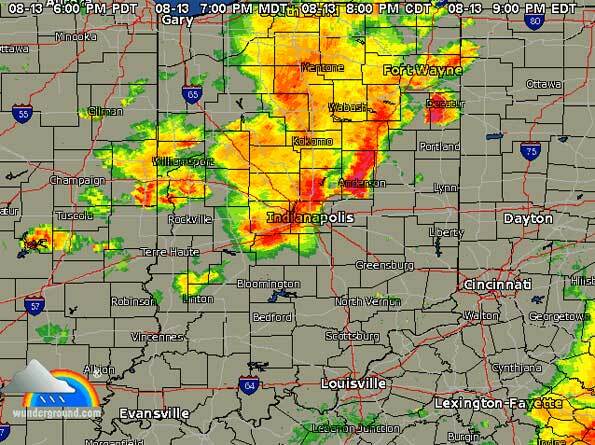 Weather radar showing severe thunderstorms at Indianapolis at 9:00 p.m. EDT August 13, 2011 with increased size and intensity compared to the observation while passing Gary, Indiana at about 5:00 p.m. EDT August 13,2011.